Andrea Ferreyra, Torbellino/Whirlwind . Documentation of street performance, Mexico City, January, 1993. Photo by Gabriela González. Courtesy of Andrea Ferreyra. The art of the 1990s in Mexico has acquired an almost mythic status in recent years, coming to represent the moment that Mexican contemporary art assumed a place in the global arena. 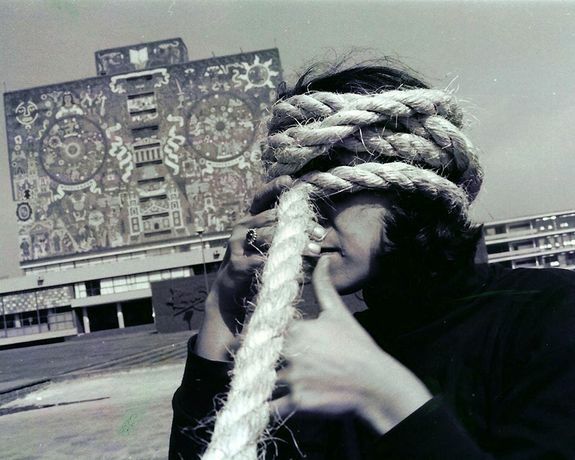 Below the Underground: Renegade Art and Action in 1990s Mexico will add a new layer to the growing interest in this period by drawing attention to artists, such as Taniel Morales, Andrea Ferreyra, and Elvira Santamaría, who operated in the margins, away from the widening mainstream. 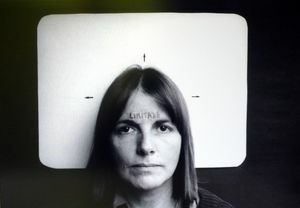 The exhibition explores the alternative, often clandestine art practices that emerged during this period marked by increasing violence, currency devaluation, industrial pollution, and political corruption. Against this turbulent backdrop, artists in Mexico City, Guadalajara, Monterrey, and elsewhere devised alternative practices and new exhibition spaces to show work that often directly engaged the politics and economics of the moment.